That I've heard of before - mail disappearing because of stamps - though luckily it has never happened to me when I used a special issue stamp (maybe they simply aren't alluring enough). BTW I always enjoy looking at the ones you use as well (and you do choose pretty ones all the time). I guess I generally pay more attention now that I've taken up Postcrossing again. It's only natural that, being an artist, you'd look at design through different eyes. Dabbling with photography myself I usually focus a lot more on the other side of a postcard unless a particular stamp manages to catch my attention. 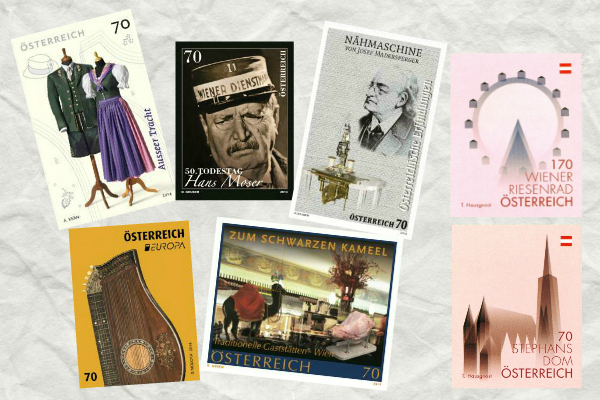 With Postcrossing many people use special stamps, so I find myself appreciate those more with each card I receive.